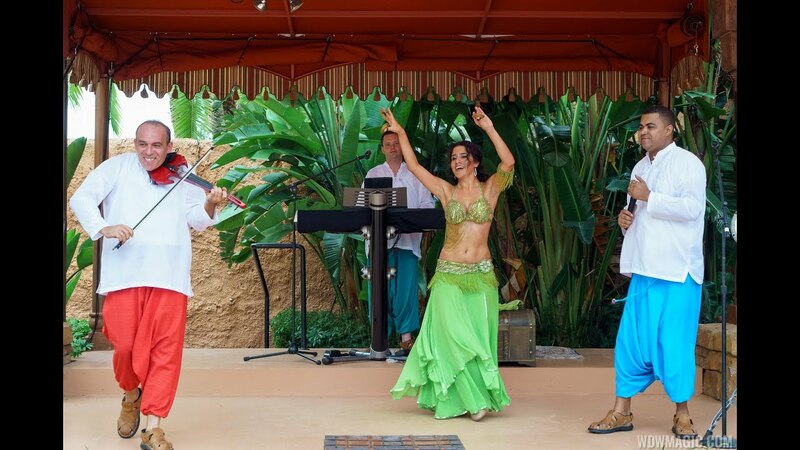 Jul 08, 2016 in "Musique Aramenco"
Musique Aramenco, a new live entertainment act, is now performing at Epcot's Morocco Pavilion. The new three piece band is very similar to the MO'ROCKIN act that performed at the pavilion for 15 years. A belly dancer is part of the show, and there are even some familiar faces from the former MO'ROCKIN group. Check out the video for a look at part of their show from opening day. Showtimes are typically 1:20pm, 2:20pm, 3:45pm, 4:45pm, 5:45pm, 6:30pm, 7:45pm, with performances taking place Wednesday through Sunday. Like most new acts appearing at Epcot, Musique Aramenco is a limited time engagement at Epcot. The new group replaces Ribab Fusion.